Shop Latin Percussion LP 016 Egg Shaker Trio Set from AMS and enjoy Fast & Free Shipping. Latin Percussion has added some variety to its most popular shakers. Introducing the Latin Percussion 016 Egg Shaker Trio Set. Each set includes three shakers, each featuring a different fill formulation that produces a different volume level. 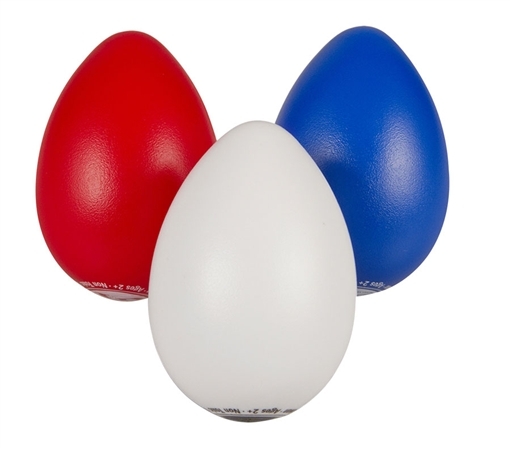 The white egg shaker is the softest and is ideal for acoustic studio applications. 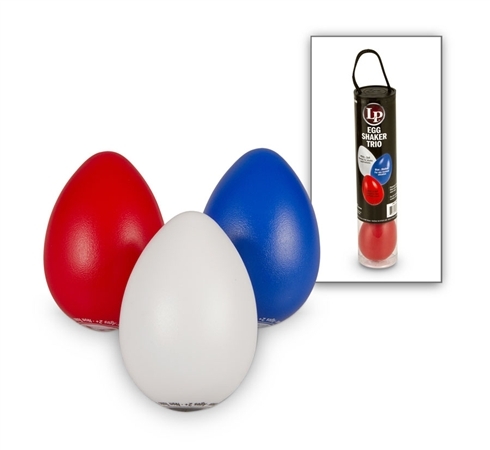 The blue egg shaker is a multi-purpose medium volume shaker that can be used in a variety of applications and the red egg shaker produces a particularly loud, coarse sound that is perfect for live performances. These eggs are great, and are easy to transport. Percussion you can carry in your pocket. The eggs are color coded for loudness,which makes choices easy. I am really happy with this purchase.